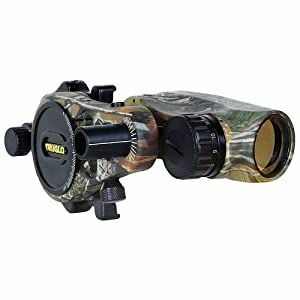 Red dot sights for compound bows? WHAAAAAT???? pa2a.org » The Armory » Archery » Red dot sights for compound bows? WHAAAAAT???? OMG OMG OMG I WANT!!! I've been bit by the archery bug hard now it seems and after shooting for the first time last night it's the only thing I can seem to think about. Some of the upgrades I need for the bow I have include new sights. Well I've just discovered to tacticool line of gadgets and gizmos and I just HAVE to get me one of these red dot sights! Is it legal to hunt with these? Alright, I really like this one. Seems to be the one that has the best reviews. Just ordered the TAS Gen 2 SABO sight. I guess it's more like a holographic sight than a red dot. It uses fiber optics to project a set of dots on a piece of glass. They have an led option that can be added to make the dots brighter or be used in low light situations too. My dealer should have them in a couple of weeks. Also learned that electronic sights are good to go on bows in PA as long as they don't project a light on the target. I don't how I missed this post. P89;138039 Wrote: I don't how I missed this post. I guess they're fairly new sights because my archery shop hasn't ever heard of them and no one has asked about them. They had to call their supplier to even know what it was. I guess the archery purists don't like these new fangled tacticool gadgets. Oh well. Full report when I can get my hands on it. spblademaker;138109 Wrote: Gixx, don't forget these. Do they make these in 50BMG? Those are only for the ballista bolts.